Brazil’s journey towards liberalising and legitimising its gambling market took another turn for the worse this week. The Constitutionally and Justice Committee (CCJ) has again delayed a vote on the Senate’s gambling legislation bill, PLS 186/2014. Furthermore, according to those close to the situation, the impending elections next year may delay the passing of the bill until 2019. In November, a report commissioned by the Remote Gambling Association estimated that Brazil’s online gambling market has the potential to be worth $2.1bn per year, if it were to be regulated properly. In the report, KPMG stated that Brazil needed to implement a “sensible and effective” licensing regime, a taxation framework that is based on gross gambling revenue (and not on turnover as it is the case in several recently regulated jurisdictions), and the right measures for the socially responsible provision of online games and sports betting. Nonetheless, due to further delays, this reality of a regulated gambling market is increasingly becoming a pipeline dream, and for now attention has been turned to the privatisation of the Rio de Janeiro state lottery, LOTEX. In the days running up to the vote, a number of senators put forward controversial new amendments, one of which would require gaming operators to enter into partnerships in which local companies would hold at least a 30% stake. Whilst another radical amendment proposed a blanket 30% tax on all land-based and online gambling revenue. However, neither of these controversial amendments have been included in the bill, although the CCJ did agree to include a prohibition on slots and video bingo machines outside of casinos. CCJ judges have moved to prolong the decision on Bill 186’s progress, as the committee reviews impacts of gambling at a state level. According to results posted by the Brazilian Legal Gaming Institute, underground and illegal gambling operations generate around $6.2bn every year. 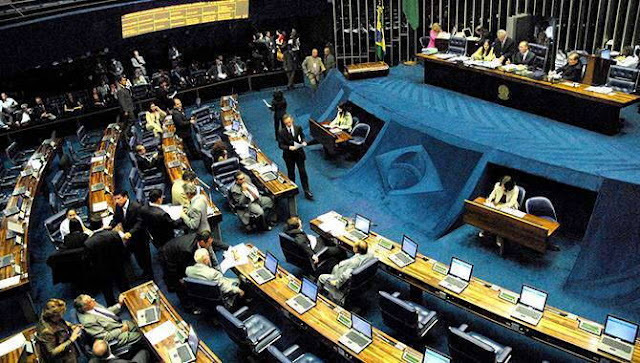 For years, the legalisation of gambling services in the country has been discussed in both houses of the Brazilian National Congress. Several bills have been put forward but none of them have made a serious impact, due to some extreme opposition from a number of lawmakers.